Dakota Rocky Mountain Horses | North Dakota's home for Rocky Mountain Horses. Standing Prince of Peace in Minot, ND. 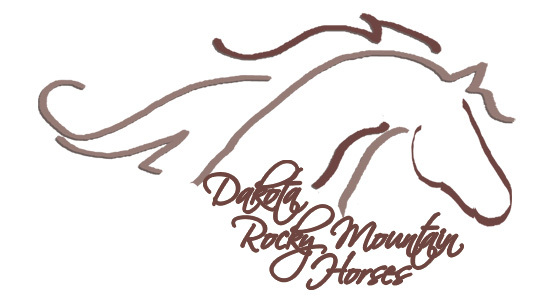 Thank you for visiting Dakota Rocky Mountain Horses. The dream horses you’re seeing on this page have come from all sides of the map. Some from bucking ranches, others from breeding farms and still others from the old sale ring. All have found their way to Dakota Rocky Mountain Horses southeast of Minot because they were special. And they’ve stayed because of the same reason. For more than a decade our horses have been on the natural way to horsemanship. We say that we’ve learned the horse instead of the horse learning us. All philosophies come from that idea – that is a horse is a horse and a human is a human but the two can play together in harmony. Names like Pat Parelli, Tom Dorrance and Ray Hunt could find their training tapes, dvds and books in the barn. Have questions? Want to see more? Feel free to email us at darcy@drmhorses.com or call 701-595-0193.